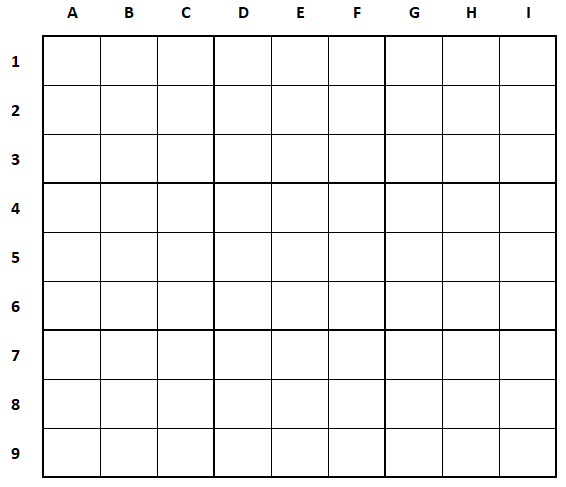 As a follow-up to the first This is a crossudoku puzzle, I decided to make a new one. B7-C7 Giraffe tongue in inches - I found "$18$-$20$" but a leading $1$ contradicts Braille as $1824$, so $21$? Oh ... there seems to be a guess already ... that's why even though I'm not done yet I'll share my work so far. First there was a eight options but the Braille clue gave away that the number starts with 1 so the prime numbers left to consider were 29, 31, 37, 41, 43, 47, 53, 59, 61, 67, 71. 193 if we count UN-countries only, 195 if we count the other two, but the digits 19... are definite. After some consideration ... it kind of says all countries, therefore 195 must be the answer. Googling says 30 but that cannot be true since 0 is not a number found in Sudokus, numbers higher than 30 don't make much sense when googling, so a leading 2... seems plausible but I left that open for now since that is not definite. Google says 18 - 20 inches, which means 18 or 19, since 20 contains a zero. However, the 747 clue gives away that it really must be 21 even though I didn't find that info during research. I found online that there are several types of Boeing 747 which have different fuel capacities that begin with a leading 1 or 2. But the longest road clue gives away that it cannot be 1, so there is two types left. The numbers given by the cube of square clue and the octomino clue rule out the larger one leaving 216847 as definite result. We can rule out 81 with the Orwille clue an 25 with the Iguana clue having now 16, 36, 49, 64 left as guesses. Some further sudokuing and the 1 from the Ga clue rule out every number with a 1 and a 6: 16, 36, 64, conveniently leaving 49 as final answer. This could be a reference to Gallium, which would be 31 on the periodic table. Having only this two clues I dare make the conclusion, that the second digit is ...1. > Having 576 as three digit square rules out 71 leaving 31 as answer. There are a total of 22 possible three digit squares but ruling them out with the rules of Sudoku left me with: 529, 576, 625 and 691 Getting 49 in the double digit square clue rules out 691, leaving 529, 576 and 625 Some sudokuing after guessing the country clue we get 6 as definite last digit and therefore 576 as answer. After having solved all clues everything left was to solve the Sudoku which went astoundingly fast.